So, I’ve decided to jump on the bandwagon and do a list of my Top 10 books of the year. Like every other blogger, I have found this a really difficult task as I have read over 150 books this year and so many of them have been amazing. However, I have been ruthless and narrowed it down to the ten that have stood out for me for a variety of reasons. These have been the ones that have made me laugh, made me cry, made me think, made me feel, inspired me or have felt very innovative, sometimes all at the same time. I am sure my choices will be very different to anyone else’s, but that is the joy of reading – there is something for everyone and every mood. My thanks to all of the authors whose fabulous books I have enjoyed this year, not just those on this list, and I look forward to enjoying more times with you next year. So there we go, my Top 10 books or the year. I’d love to hear your thoughts on my list. Have you read and enjoyed any of my top 10? will you be adding any to your TBR for 2019? Do you have a list of your own? Let me have you thoughts. Now, a few weeks ago I promised that, if I reached 2,000 followers by the end of the year, I would give away copies of my top 5 books from this list to one of my followers. My stats now stand at 2,038 followers, so my thanks to all of you for helping me reach this goal, I am absolutely overwhelmed. The winner of the books, drawn at random, is Louise Heather. Congratulations, Louise, I have emailed you about your prize. Thank you all for following my blog this year, may I just wish you all a Happy New Year and I will see you in 2019. Any of you who follow me on Twitter or Instagram or Facebook will have seen the picture of me finishing this book over a cup of tea in Sainsbury’s cafe on the morning of Christmas Eve, after I’d finished my shopping and at that point I was filled with Christmas spirit, due in no small part to this book. For any of you who have not heard the story behind the publication of this book, it was the creation of author Vanessa Lafaye, who unfortunately passed away in February of this year after a long battle with cancer, before she was able to finish it. At the request of Vanessa’s publisher and her husband, the book was completed by Vanessa’s good friend and fellow author, Becca Mascull. This tragic and moving story meant there was a lot of buzz about this book on social media and in the blogging community and I was desperate to read it. I am a huge fan of A Christmas Carol, so the premise behind the book was enticing, and it sounded like the perfect Christmas read. Oh, but this book is even more beautiful and moving than I expected. It is the story of how Jacob Marley becomes the person who ends up as the tormented spirit that haunts Scrooge at the beginning of A Christmas Carol. To tell his story, Vanessa has given him a sister, Clara, who is witness to the circumstances that shape him. This device is so clever, and executed so beautifully that it immediately pulls you heart and soul into their story and transports you back to Dickens’ London and the world inhabited by Scrooge and Marley. Both authors have perfectly captured the essence of Dickens’ story telling in this book so that it is very easy to believe that this is exactly how Marley and Scrooge end up as the mean-spirited, uncharitable old misers that we have come to know. The period and setting of Victorian London is brought vividly and perfectly to life through the language and descriptions, and the whole book has a lovely, festive feeling to it, despite the melancholy story. I absolutely loved the character of Clara, she is warm and vibrant and extremely sympathetic, and she makes Jacob Marley’s story sympathetic too. You cannot help but care about her plight from the beginning, which makes the book enthralling and moving and kept me glued to the pages from beginning to end. I have such admiration for the skill of both authors. I don’t know how Becca managed to complete this book whilst grieving for a beloved friend- it must have taken a strength of will and a huge amount of love to get through it. In the interview I have linked to below, Becca says she felt like she was almost channelling her friend as she completed the book, and I can believe it as it is impossible to tell where the two parts join. The voice and narrative are so consistent throughout; there is no jarring change of tone or pace and it ends perfectly. These were two friends so obviously in tune and their story has completely moved me to tears. This book is a beautiful testament, both to the authors’ love of A Christmas Carol and to their friendship and it will delight anyone who is a fan of this timeless Christmas tale. I believe that a festive read of this book will become a new Christmas tradition for me to cherish. I highly recommend you pick up a copy now. Miss Marley is out now and you can get a copy here. Rebecca Mascull is the author of three historical novels and also writes saga fiction under the pen-name Mollie Walton. If you would like to read more about the heart-breaking story of the writing of Miss Marley, you might like to read this article. Today I am delighted to be taking my turn on the Urbane Extravaganza where, between 24 November and 31 December, a host of bloggers will be showcasing a different Urbane publication each day. My thanks to Kelly Lacey at Love Books Group tours for asking me to take part in this great celebration. I have drawn The Kindness of Strangers bu Julie Newman, so let’s take a look at the book and the extract that I have kindly been invited to publish for you. I just love the cover of this book, don’t you? Here is the extract, as promised, to whet your appetite. A SLIVER OF SUNLIGHT forces its way through the tiny gap between the blind and the window frame; it’s enough to tell me that night has given way to day. I DON’T KNOW WHERE TO START. I’ve never felt so daunted by a task, ever. Which is quite ridiculous as it is a relatively simple task, not one that requires any particular skill; and yet it challenges me. I’ve brokered million-pound deals, chaired more meetings than I care to remember and managed teams of people. Yet I can’t seem to do this one simple thing. We bought this house over twenty-five years ago. It was a house we would often drive past and admire, both saying we’d like to have something similar one day; although at the time that notion was just fanciful daydreaming. Over time the house began to look a little shabby and uncared for, eventually becoming rundown and derelict. Such a shame we thought; we hoped someone would come along with time and money to restore it to its former glory. Never daring to think it might be us who would take on that mantle. It was 1992 and we were in a taxi on our way home, following a very boozy evening. We’d been out celebrating Robert’s bonus – which was unexpected and an extraordinary amount – when we passed this house. There was a sign outside saying it was for sale at auction. Robert got the taxi driver to stop and we both got out of the car. What do you reckon?” Robert asked. I looked at him and shrugged, thinking he was asking me how much I thought it was worth. “It might need work, but with my bonus, well I think we could do it. “Do what?” I asked a little densely, for I was feeling the effects of my alcohol intake in the cold night air. “Meter’s running pal and I do have another job to get to,” interrupted the taxi driver. We got back into the car and headed home, but I could tell Robert wanted this. It wasn’t just an alcohol fuelled fantasy, this was a long-held dream that now seemed attainable. For him, it felt like the stars had aligned and it was the right thing to do. He was convinced it was what his bonus was meant for. So we bought it. It was two years before we moved in though, two long years. It needed a lot of attention: wiring, plumbing, structural reinforcement. And none of these things were cheap. We seemed to be writing endless cheques, and to me the house didn’t look any different from the day we first picked up the keys for it. “That’s because all these improvements are unseen,” said Robert, “but they’re essential. I know you just want to get on with the business of decorating and furnishing and you will, soon. Then you‘ll see the difference.” He was right, as he so often was. The house is magnificent, it oozes charm and character. It has a large entrance hall with a wonderful sweeping staircase in the centre. The original stairs were removed as they were rotten; I wanted the staircase to be a strong feature, make a statement, which it now does. Up the stairs and to the right are two guest bedrooms and a bathroom, and to the left is our bedroom and the dressing rooms. When we first moved in we didn’t have his and her dressing rooms. There were three bedrooms, one fair sized, one and two smaller ones; we knocked down walls and created a master bedroom with an en-suite bathroom and just one dressing room, a dressing room that in time would become the nursery. Well, that was the plan, but as time went on we realised that it probably wasn’t the best use of the space. I think it was me who first suggested each of us having our own dressing rooms with bathrooms. I love a bath, laying in the water, relaxing, allowing the cares of the day to float free from you. And back then was no different, I liked nothing more than an uninterrupted soak. Increasingly I’d been using the bathroom across the landing. Self- indulgent, uninterrupted me time; time for solitude, during which to reflect and contemplate without Robert’s analytical input. He liked to talk, find a solution or reason for every problem or situation, but sometimes there is no reason. Sometimes things just are. So we had our own dressing rooms and very soon we forgot that the room was ever meant for anything else. I step across the threshold and into the room, still keeping hold of the door jamb, steadying myself. This feels wrong. I would never come in here without him being here, but I have to do this, it’s time. Tentatively I take another step. I decide to start with the wardrobe. I slide open the door; it’s very ordered, shirts together, trousers together, etc. and all arranged by colour. Many of his clothes are still draped in the plastic covers that the dry-cleaners put on. I begin with the shirts and they are as good as new; all sharply ironed and neatly hanging in regimented rows. It seems a shame to remove them from the hangers, so I don’t. I lay them on the bed as I sort through them. It seems he liked blue, almost all of his shirts are blue: blue stripes, blue checks, plain blue. If you have enjoyed this extract from The Kindness of Strangers and would like to read the rest of the book, you can buy a copy here. Julie was born in East London but now lives a rural life in North Essex. She is married with two children. Her working life has seen her have a variety of jobs, including running her own publishing company. She is the author of the children’s book Poppy and the Garden Monster. Welcome to my final blog tour review of 2018 and I am delighted to be rounding off the blog tour for The Songbird Girls by Richard Parker with this review. My thanks to Noelle Holten at Bookouture for my place on the tour and my copy of the book, which I have reviewed honestly and impartially. This is my first book by Richard Parker, although it is the second Tom Fabian thriller. Some of my fellow bloggers have alluded to the fact that certain aspects of the storylines from book one flow in to this book, I can honestly say that this book works extremely well as a standalone novel and I did not feel at all disadvantaged by not having read the first one so, go ahead, dive right in. The book opens with a chilling prologue that you know is not going to lead to anything good then, just as you are on the edge of your nerves, bam, we switch to what seems to be fairly mundane visit by a police officer to a prison inmate he was responsible for putting away and we are left on tenterhooks as to what happened in the first story thread. This is just the first example of how Richard Parker ramps up the tension and then keeps you on the edge of your seat as you race through the pages to find out what is happening. The book is completely gripping and I really could not put it down. I really liked the character of Tom Fabian and his sidekick, Banner, who are both very down to earth and real people dealing with complicated personal issues as well as trying to solve a complex puzzle that has been left for them by a twisted killer. There are a lot of suspicious characters in the book to provide plenty of red herrings. The murders are gruesome in execution but are not described in too gory detail so this is a good thriller for those of a more delicate disposition who don’t like their crimes too bloody but still enjoy a good murder mystery. The best thing about this book though is the end. OMG! It is brilliant, I did not see it coming and I absolutely loved it and it really made me eager for the next book in the series. Richard has balanced brilliantly here the need for a satisfying conclusion to the mystery to reward the reading time invested in the book (nothing worse than a completely unresolved puzzle in a book that you have spent several hours reading) and also leaving the reader with the hankering for more and this book brilliantly sets up the character and the reader for more puzzles to come. I am not sure I have read anything which has so cleverly contrived an ongoing set up before, Kudos to the author for that! This book was a very easy, flowing read with plenty of reward for the reader. I would highly recommend it and can’t wait for the next book. In the meantime, I need to go back to book one and catch up on the back story. A great book to end my blog tours for the year on. I want to thank you all for reading and supporting my blog this year and wish you a very Merry Christmas. I look forward to sharing lots more great reads with you in 2019. The Songbird Girls is out now and you can get a copy here. Richard Parker was formerly a TV script writer, script editor and producer before turning his hand to penning twisted stand-alone thrillers. So, you may have noticed that the blog has been a little quiet this week as things are winding down for Christmas. I feel a bit like I’ve gone in to hibernation mode. However, I am happy to be sticking my nose out of the nest for the evening to join my next guest for a festive Friday Night Drinks. So, welcome to the blog, Rachel Dove. Rachel is an author and teacher, winner of Prima/Mills & Book Flirty Fiction Competition 2015, Writer’s Bureau Writer of the Year 2016 and fellow RNA Member and, mostly importantly, fellow Yorkshire lass. What better introduction could there be! A huge welcome and thank you for joining me for drinks this evening. I appreciate you popping out this close to Christmas, you must have had many more better offers! First things first, what are you drinking? A cheeky (large) glass of rose wine – cheers! Cheers! If we weren’t here in my virtual bar tonight, but were meeting in real life, where would you be taking me for a night out? I am soooo boring! I would say a nice meal out, followed by the cinema. Which sounds like a date. Sorry! I love to eat out in new places, and am a huge fan of films. My days of bar hopping are over, I used to be a trainee nightclub manager, so it lost its sparkle early on. I think my clubbing days are well behind me, so that will suit me fine, as long as it’s not a horror film, I am a huge scaredy cat! If you could invite two famous people, one male and one female, alive or dead, along on our night out, who would we be drinking with? I would love to meet Shonda Rhimes, and pick her screenwriting brains, as I am a big fan, and Margaret Atwood too. I find her writing so interesting to unpick, so that would be a great night! An evening of writing chat – sounds wonderful. So, now we’re settled, tell me what you are up to at the moment. What have you got going on? How and why did you start it and where do you want it to go? I am crazy busy at the moment finishing off my two latest books for Manatee and HQ Digital, and working with my agent on some future ideas. I am also still teaching and just started my second year of a Creative Writing MA so with that, our house renovations and family, I am looking forward to having two weeks off at Christmas and reading lots and having a lovely relaxing Christmas. (Or, that’s the plan!) I am excited about my future book ideas, so watch this space! Can’t wait to hear more, but that sounds like some workload, I’m impressed. What has been your proudest moment since you started writing and what has been your biggest challenge? The challenge is to keep writing when life gets busy. I have had so many proud moments, but winning the Prima competition is what kicked all the other proud moments off, so that has to be it for me. That must be amazing, to see your work being published around the world, a great ambition. What are you currently working on that you are really excited about? Ooo lots, but my lips are sealed as yet! Spoilsport! I love to travel, and I’m currently drawing up a bucket list of things I’d like to do in the future. Where is your favourite place that you’ve been and what do you have at the top of your bucket list? Top of my bucket list is Tobago and Goa – both places I would love to visit. I really love UK holidays, and Spain is a wonderful place too. For me, the family holidays we have are all great. I’d love to go to Tobago. Tell me one interesting/surprising/secret fact about yourself that people might not know about you. I used to kickbox back in the day, and have passed exams and gained belts! Remind me not to get on your bad side! 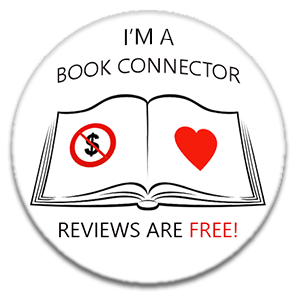 Books are my big passion and central to my blog and I’m always looking for recommendations. What one book would you give me and recommend as a ‘must-read’? This is so hard. I love books so much! One I have loved recently is by CJ Skuse, called Sweetpea. It’s dark, funny, gory and utterly unputdownable. I’ve read such great reviews of this book, I’ve already added it to be TBR.So, we’ve been drinking all evening. What is your failsafe plan to avoid a hangover and your go-to cure if you do end up with one? I would say you are asking the wrong person! I do drink water before bed, and there is nothing like a bacon buttie to soak up the alcohol. I hate hangovers now, in your 20s they are quite fun. 30s? Not so much. I agree. I’ve got to the stage where the fun of the drinking is no longer worth the pain of the hangover! After our fabulous night out, what would be your ideal way to spend the rest of a perfect weekend? We love going on holiday to a cabin in Cumbria with our sons and our dog, so I would say that. It’s isolated, quiet and beautiful with lots of long walks nearby, and a hot tub with champagne for when the kids are in bed. Lovely, I love going there and always write lots when the kids are busy. That sounds fantastic. Rachel. thank you so much for chatting to me this evening, it has been great fun. I’m really looking forward to your upcoming books in 2019, and hopefully we’ll meet and do some of this drinking in person at an RNA event next year. Three books by Rachel in the Westfield series are currently available to purchase, they are The Chic Boutique on Baker Street, The Flower Shop on Foxley Street and The Wedding Shop on Wexley Street. The next book in the series will be published next spring. To find out more about Rachel and her books, you can check her out on Facebook, Twitter and Instagram. I know this is usually a Monday feature but yesterday was impossible so I’m sharing it today instead. Surprise! A change is as good as a rest, they say, and I’m relaxing into the Christmas holidays. Anyway, today on Tempted by…. I have Help The Witch by Tom Cox and the review which inspired me to buy it was this one written by Anne Williams on her blog, Being Anne. Anne is a hugely respected and inspirational book blogger, who also talks quite openly about things going on in her life in general so you really feel like you get to know her through her blog. I have been lucky enough to meet her in person and she is as lovely as she comes across on the blog. her reviews are always very detailed and honest about what works in a book and what doesn’t, so I completely trust them. No flannel here! This was the main draw of the review for me, the pulling out of the positives and the negatives; the emphasis on what worked for her and what didn’t; the quirkiness of the stories. I do like a short story collection that you can dip in and out of when you are short on time or don’t have the brain space to embark on a longer literary journey and these sound like something out of the ordinary. I’m very drawn to something a bit different, although I’m not sure I will read them late at night while I am on my own! This book was published by Unbounders and I have found that their unique publishing model have produced some very diverse and interesting books this year, including some of my favourite reads, so I am looking forward to dipping in to this over Christmas. If, after reading Anne’s review, you would like to get your own copy of this book, you can buy it here. And please do visit Anne’s wonderful blog, Being Anne, and get to know her, I know you’ll love her too. I am delighted to be taking part in the blog tour for Godlefe’s Cuckoo by Bill Todd today. My thanks to Emma Welton at damp pebbles blog tours for including me on the tour and to the author for my copy of the book, which I have reviewed honestly and impartially. This is my first book by Bill Todd, although I believe it is the fifth full-length book featuring ex-soldier-turned-private-detective, Danny Lancaster. The fact I had not read the previous books in the series did not detract from my enjoyment of this book, although having knowledge of the previous books may have increased the depth of my understanding of events in this book, so you might want to read them in order. I would certainly like to go back and catch up with how Danny got to the place we find him at the beginning of Godlefe’s Cuckoo, which is missing, presumed dead by some. I was drawn in to the novel very quickly by the historical opening scenes, which bed the book firmly in the setting of Brighton, and I have to say that the author shows great skill in bringing the location to life, from the wild areas of uninhabited coastline to the gritty back streets and local pubs, as well as the bits familiar to tourists. I really enjoyed the fact that the sea and the coast play an important part in this book, which makes the coastal setting very relevant, rather than just an aside. This is a novel where sense of place is important. There are a lot of characters introduced very quickly at the start of the book and it was a little dizzying and hard to keep up with to begin with, especially for someone who has not read the previous books and is not familiar with the characters which are recurring from the previous volumes. They all have separate storylines, and it is quite hard to fathom for the first third of the book how they could possibly tie together, although all does become clear as the book progresses. Therefore, the book requires a degree of concentration to follow, which is not necessarily a criticism. I like a book which is mentally challenging, but this is not a book that can be read on ‘coast’ mode. There are a lot of very interesting and diverse characters in the story, and I particularly like the fact that this male author had created a cast of strong, independent and varied women, with not a female stereotype in sight. I grew particularly fond of Wanda throughout the book, but all of the characters bring something to the story and have a range of complex motivations. The Russian element were the weakest in the book as far as character development went, and I did feel that it parts they were in danger of tipping in to ‘typical of the type’ villains and I would have liked them to have had more depth to be honest, but it is a minor quibble that may well be peculiar to me. You will have to be your own judge. The book is a little different in development to a standardly plotted book, because the main character, Danny, features very little be begin with in person and is mostly referenced by other characters in his absence, so there is not much time for those of us coming fresh to the series to develop a sense of who he is or a direct relationship with him. However, this would obviously be different for people who had read the previous stories and, I have to say, once he did appear and start taking centre stage, I found him a fascinating and compelling character with a strong personality, which definitely made me want to read more about him. The plot clipped along at a brisk pace and contained enough excitement, action and mystery to keep me turning the pages without wanting to put it down. I am not sure how realistic it is, as a plot as my knowledge of international criminal activity is minimal, but it was easy enough to buy in to it to a degree to allow me to enjoy the book. I have to say, I think a particular strength in this book is the author’s use of convincing dialogue. It certainly moved the book along nicely and sounds natural, which is not an easy thing to achieve, and it impressed me enough to stand out as a positive attribute. Somewhat out of my usual reading tastes, I really enjoyed this book and will definitely go back and check out the earlier Danny Lancaster stories when I get chance. Highly recommended. Godlefe’s Cuckoo is out now and you can get a copy here.